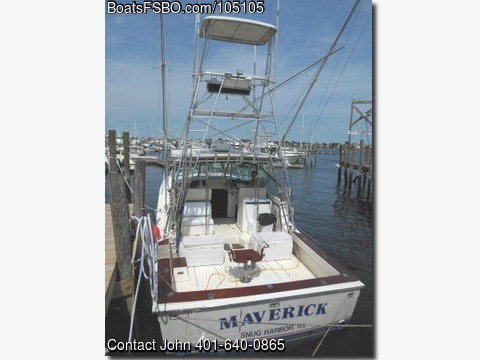 The Maverick is a 37.5 Topaz built in 1986. She was repowered in 2007 with a pair of 435 HP Volvo TAMD 74D on new motor mounts. The boat cruises at 26 knots and has a full tower, two helm stations, electronic controls, Furuno 24 mile radar and a Lowrance HDS 10 GPS/Fishfinder/Depth recorder.